We love Christmastime, which is why we’ve written a few posts for you already on how to decorate with Christmas flowers. We’re guessing many of you enjoy filling your home with beautiful flowers for the holiday too, so we wanted to give you every opportunity to do so with a new list of Christmas blooms. In the spirit of the season, we have a few more Christmas flowers to share that we think will look festive in your home or in your garden. These flowers are colorful, bright, and sometimes dramatic. They’re perfect additions to a Christmas decoration display, whether you dress your home casually or with the ultimate of elegance in mind. Christmas rose is known as the quintessential Christmas flower in many parts of the world. Also called “snow rose” or “winter rose,” it comes from the tropics of Asia and it usually blossoms during winter. In North America, many young women exchange Christmas rose as a symbol of sisterhood. The Pohutakawa tree is not a traditional Christmas plant by any means, except in New Zealand, but we’re ready to adopt it into our house. This plant gives off bright, showy flowers that usually appear during December, so get ready for a stunning display over the holiday season like you’ve never seen with this bloom. 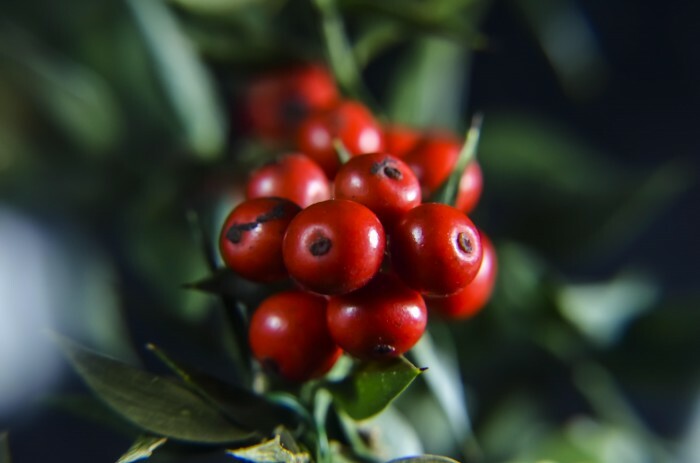 Holly is known as a Christmas plant in many European countries, and in the United States. In these regions, people hang holly on doors and they even trim Christmas packages it. We know a baker, or two, who decorates Christmas treats with sprigs of holly as well. In addition to these plants and flowers, you can decorate your home for Christmas using garlands of ivy and bits of mistletoe. All of these Christmas flowers are likely to bring you much joy as you gather with friends, make Christmas goodies, and savor the cheer that season offers. We love Christmastime, which is why we’ve written a few posts for you already on how to decorate with Christmas flowers. We’re guessing many of you enjoy filling your home with beautiful flowers at for the holiday too, so we wanted to give you every opportunity to do so with a new list of Christmas blooms.In the spirit of the season, we have a few more Christmas flowers to share that we think will look festive in your home or in your garden. These flowers are colorful, bright, and sometimes dramatic. They’re perfect additions to a Christmas decoration display, whether you dress your home casually or with the ultimate of elegance in mind.